Tree services vary greatly in size, capability, services, etc. 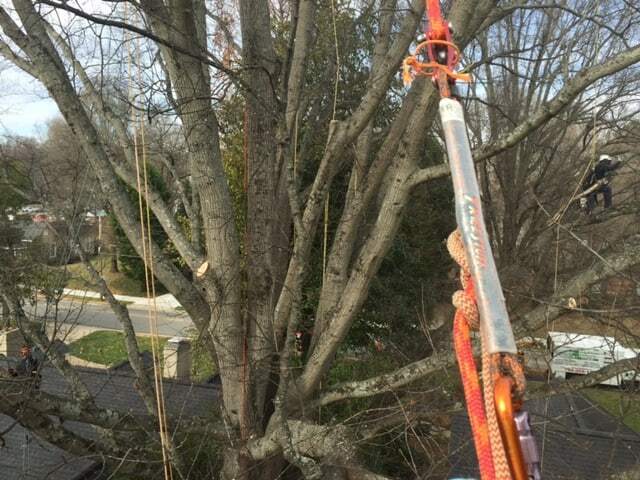 AAA Tree Experts has Certified Arborists on staff as well as highly skilled climbers, equipment operators, and ground personnel who are committed to meeting customer needs and completing jobs safely and professionally. Are there ISA Certified Arborists on staff? Does the company have a Certified Tree care Safety Professional (CTSP) on staff? Do the arborists on staff have an interest in your trees? Are they capable of tree preservation, not just “cutting trees”? Will the entire tree be pruned (not just elevating lower, easy to reach limbs)? Will climbers avoid climbing spurs, which cause injury to trees, when pruning trees on your property? Do the climbers know how to make proper cuts and avoid removing too many living branches so as not to harm the tree? Will they take care when removing trees or heavy branches to avoid property damage? Are they licensed, bonded, and fully insured, carrying workers compensation for tree care operations? Will they hold your property and tree care needs in the highest regard? AAA Tree Experts can answer yes to these questions confidently! !